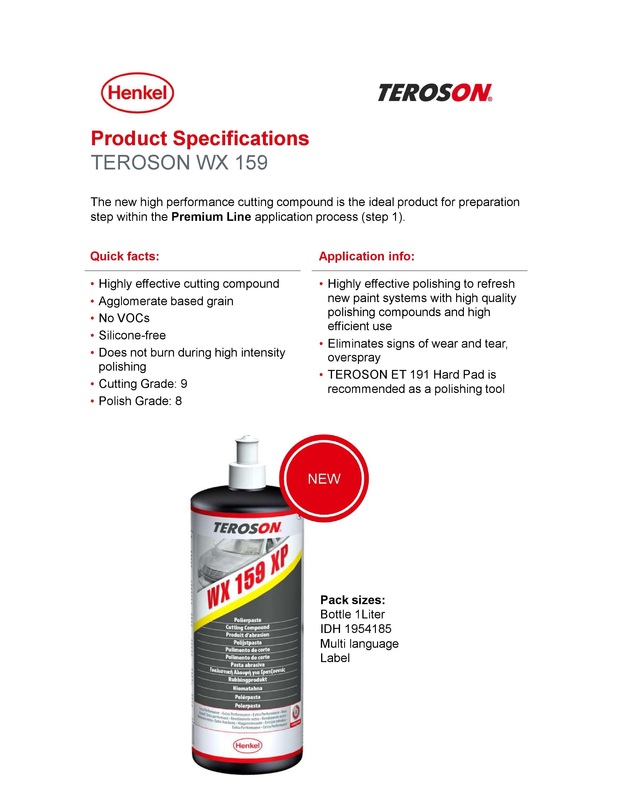 TEROSON WX 159 represents the latest advancement in agglomerate grain technology. The relatively coarse grit texture at the beginning of the polishing process breaks down steadily during use to a very fine grain. Your paintwork is thus compounded and polished in just one step. It reduces process time thanks to two-step polishing approach. Ideal for reworking old and new paint jobs, especially recommended for black and dark colors requiring a hologram-free finish It provides durable shine due. to removal of surface roughness for long-lasting surface smoothness.